Happy Chinese New Year to all those celebrating! This year is actually MY year because it's the year of the Rooster. It sounds all well and good but it's actually believed that 2017 will be an unlucky year for us Roosters (wehhhhhh!!). Whether you're celebrating the occasion or not, I wish you prosperity and happiness all year round. As we don't have a huge family, we don't tend to celebrate the occasion as wildly as some. We just get the family together and share a massive feast until we all become pregnant with food babies. We don't really believe in the traditions and rituals that come with Chinese New Year either. 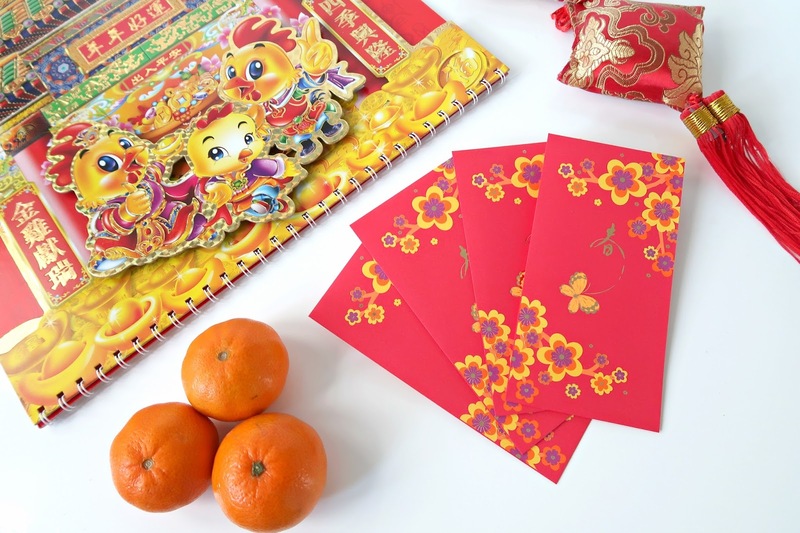 Other than having a big dinner with the family and giving red envelopes (filled with money) to children, we don't really follow the other usual customs. I think one of the consequences of being a BBC (British born Chinese), is that we're more hyped up for Western holidays than our East-Asian holidays. So for me, celebrating the new year in style would happen on 31st December/1st January of each year with a tipple or ten. Then celebrating in complete home comfort would happen on Chinese New Year (whenever that may be, as dates change each year) - which is pretty cool, as we get to celebrate twice! My mum is currently in Hong Kong right now. I'm so jealous because the whole city must be buzzing with excitement over there! She's celebrating the occasion with her side of the family this year, which must be nice for her as she hasn't had the chance to for years. This means that we won't be having our traditional Chinese feast at home, as my mum isn't here to cook *sobs*. Instead, me and my family are heading out to a restaurant to pig out tonight, I can't wait! Before that happens, I'm heading off to get a full body brush, a full body exfoliation, a detoxifying body wrap and a full body massage - because what other perfect way can you think of to start the new year off right?